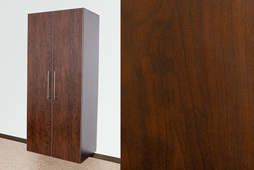 Our garage cabinets in Treasure Coast are designed to provide 100% longevity while appealing to the eye with their unique style. Custom-made, our cabinets will transform your garage from a cluttered mess to a professionally organized workspace. Garage cabinets will keep your items protected all year round from dust, grime, and moisture. These come in various styles and colors to suit your unique tastes and decorating personality. These cabinets combined with all of our other storage products create a space that is more usable and organized. 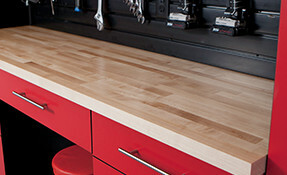 We can make a plan that will work for you. Contact us today for a free quote! 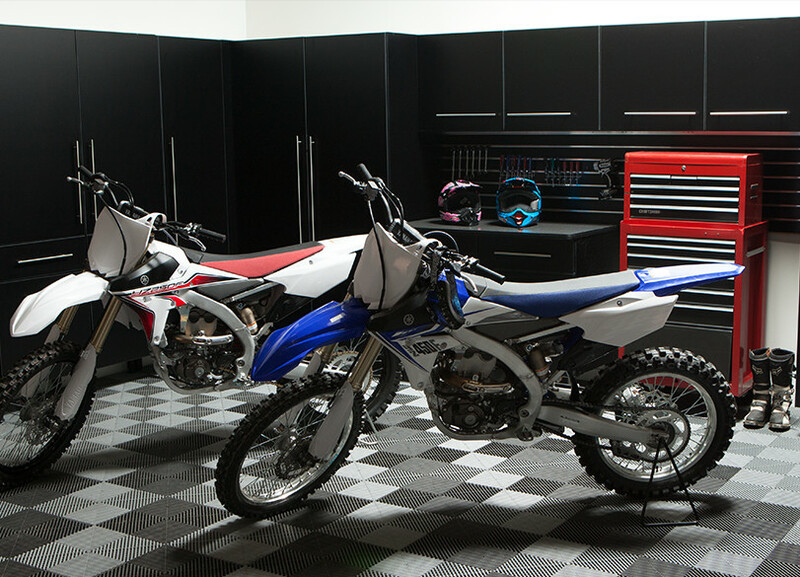 Upgrade your garage with sleek, custom cabinets that make storage attractive. 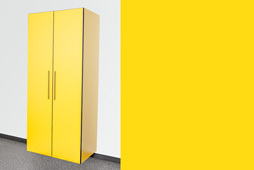 Easily store your items behind closed doors for a seamless and put-together look in your garage. 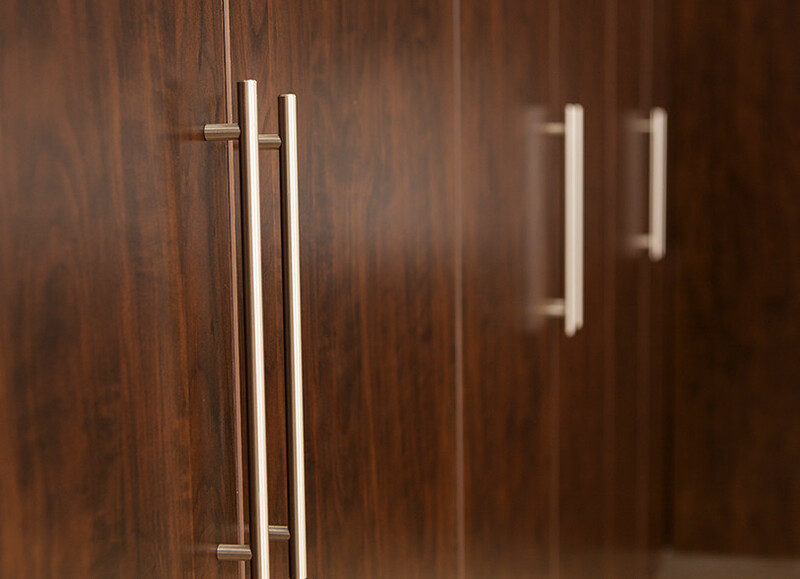 Added Value: While adding beauty to the home, our cabinets are sure to increase the value of your home. Quality Structure: Built with quality in mind, our garage cabinets in Treasure Coast are strong and durable holding up to a 100 pounds for every shelf. 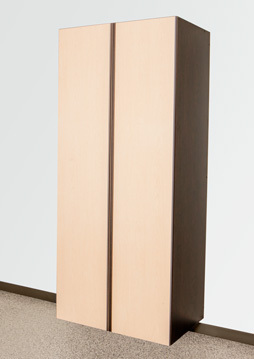 Made in the USA: We are proud to say our custom cabinets are manufactured and built in the United States. 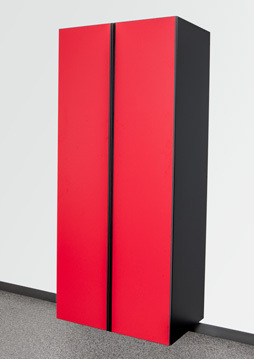 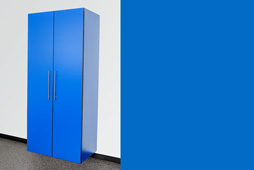 Lockable: Keep your items extra-safe with our optional locking feature on these cabinets. 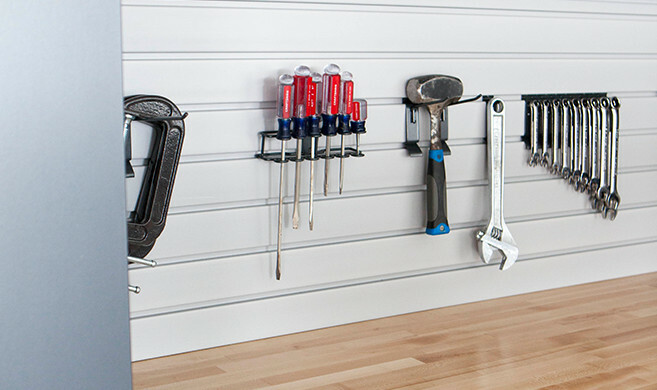 Working on projects in the garage can be one messy occupation, but our slatwall solutions make it easy to keep your tools organized and within reach. 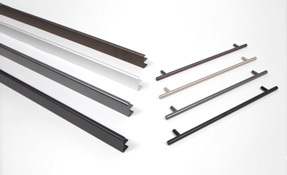 These extruded PVC slatwall solutions can be installed in any garage and can be paired with various accessories. 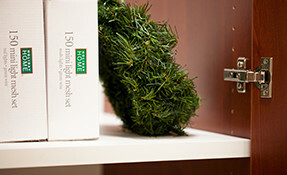 • Resistant to scratches, water, and moisture. 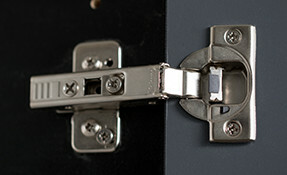 • Color-coordinated screws for consistency. 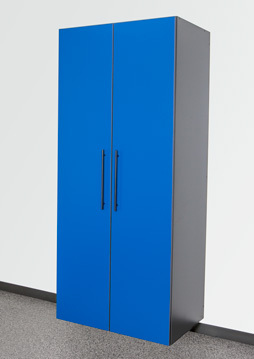 Garage Cabinet Options – Wall mounted cabinets shelter your objects from moisture and any other intruding substance. 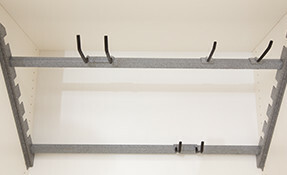 Whether they are mounted to the wall or placed on the floor our cabinets are sure to organize your items effectively. 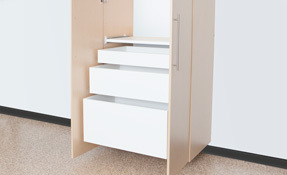 Accessible – Cabinets store your items out of the way while leaving your items accessible to you at all times. Garage Cabinet Finishes – Our effective and aesthetically pleasing product line is constructed with a variety of finish options. 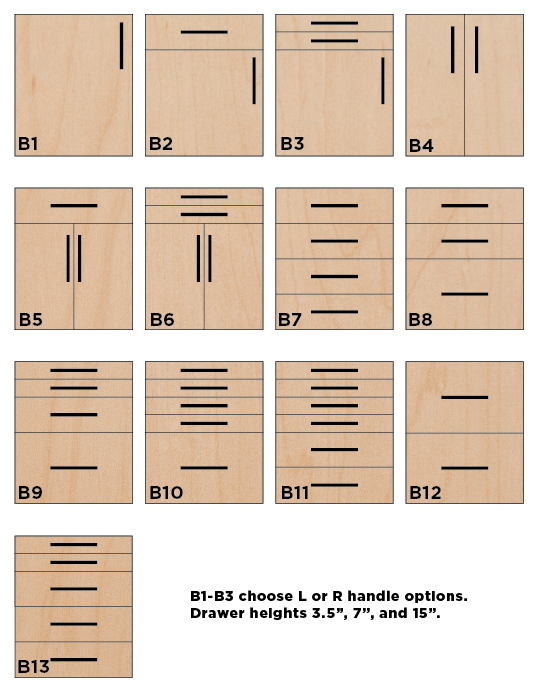 Now you know your space can be organized with the top of the line cabinets that look great and are affordable. Call us today to get the best garage organization and garage cabinets Treasure Coast has to offer! 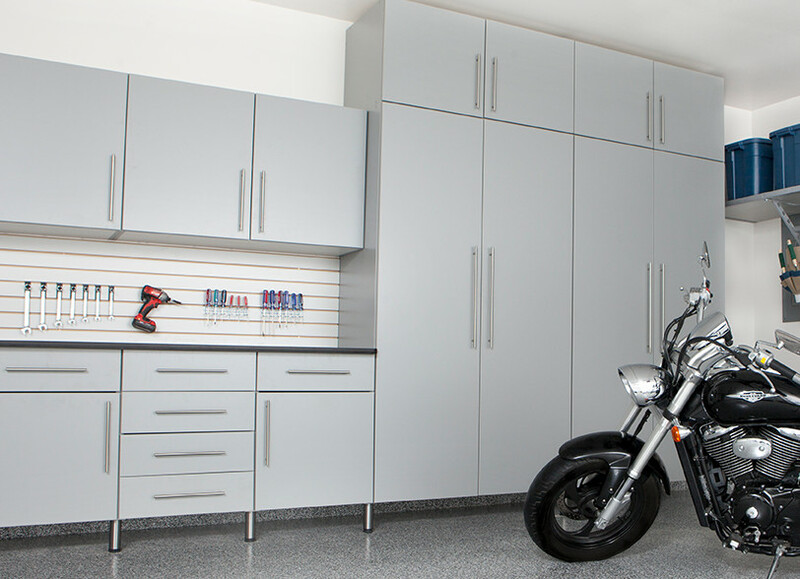 If you’re ready to transform your garage into the ultimate in efficient organization, garage cabinets in Treasure Coast is a great way to get started!